“I thought I would warn my fellow Beacon Hill neighbors about the recent incidents that have occurred at my house (on 14th Ave. S. and S. Hanford) in the last 3 days. First our BBQ was stolen out of our backyard (in broad daylight mind you, around 3 or 4 p.m. on Monday, 8/15), then last night (8/18) between 2–6 a.m., one of our cars was stolen from in front of our house. I have lived on Beacon Hill for the past 2+ years (my family—dad, aunts, uncles, grandparents—have lived on Beacon Hill for 40+ years) and have never had any problems like this so close together (besides two of our cars’ tires getting punctured when everyone else’s did a few months ago). 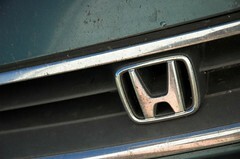 Do you own a Honda Accord? Is it still in your driveway? You might want to check. At least two Accords were stolen this week on Beacon Hill. Just wanted to let you know that our car was stolen last night from 14th Ave and South Hinds Street, and was hoping you could post it to the blog! This is on the heels of a roof rack stolen off of our car last week. I don’t know what’s going on in our neighborhood, but it’s incredibly frustrating. Please keep an eye out for a white 1998 Honda Civic 4-door with Washington plate 299 VCV. Last night, someone smashed our front passenger window of our newer model car with our empty garbage can, parked on the parking pad at 19th & McClellan, an open, well lit spot. They rifled through the contents of the car, and stole my jacket in the front seat. We figured they just leaned in to look for stuff, as the alarm would have gone off if they opened a door. I would imagine it took them several tries to break a car window with an empty 24-gallon plastic garbage can. Sadly, we heard nothing. This was reported to the police. My husband confronted two men who were scoping out houses on our block, the 2700 block of 13th Ave S, around noon today. The first man was about 6′-3″, white, blond hair, glasses, about 25-30 years old, wearing black hoodie and jeans. The second man was about 5′-6″ black, 30-35 years old, black coat, blue jeans, white shoes, carrying a duffle bag. They walked down the street with a piece of paper in hand, stopping on the sidewalk in front of each house, sometimes going back to houses they had already looked at. They went up to some houses and looked in the front windows. My husband saw the tall man go up to one neighbor’s house look in the front window, then knock on the door, looking over his shoulder repeatedly while the other guy stayed out on the sidewalk looking up and down the street. My husband went across the street to confront them, and the guy at the door immediately turned away from the house, mid-knock. The guys just looked at each other when he asked what they were doing, paused, then said they were “collecting information”. They departed on foot, heading north on 13th Ave S.